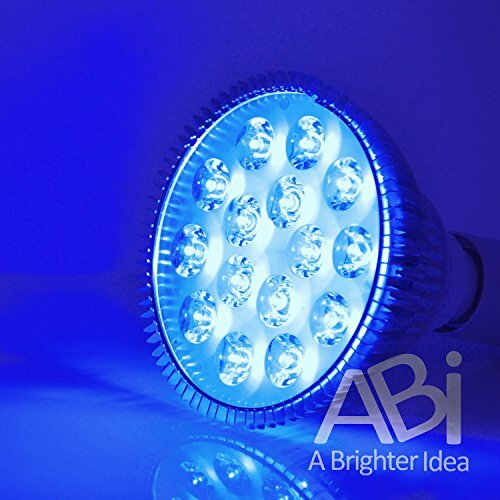 Optimal spectrum, high efficiency, quality components, and sturdy construction make the ABI bulbs the smart choice for your color lighting needs. The 450-460nm blue light is perfect for aquariums, promoting vegetative plant growth, laboratory use and more. 15 high power LED chips use a true 24W of power. An integrated ball-bearing cooling fan quietly keeps the temperature down allowing the power to be cranked up to a level that would not otherwise be possible with a bulb this size. 15 bright high efficiency LED chips use a true 24W of power. An integrated ball-bearing fan quietly cools allowing for the higher power. Fits a standard household E26 socket. 100-240V AC input. If you have any questions about this product by ABI, contact us by completing and submitting the form below. If you are looking for a specif part number, please include it with your message.